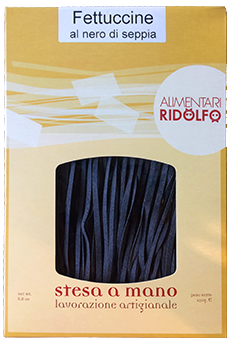 Ridolfo Alimentari products are healty and genuine, thanks to the use of high quality flours and superfine flours, and to a handmade production process respecting the long tradition of the best italian artisian pasta producers. This method guarantees the product unique charachteristics, such as asquick cooking of pasta, high absorption of any tipe of sauce, and the complete absence of the unpleasent albumen smell. Moreover the dough is made only of fresh eggs. That's why you canserve this pasta with any type of sauce, fish sauce as well. And so enjoy your meal!